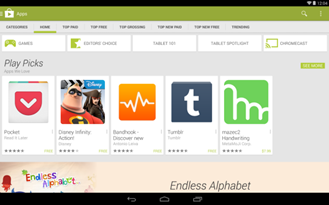 There's not much to it: the feature is just a list of the seven apps mentioned above, plus an embedded "how to cast" video at the top. But it's showing up even on phones and tablets that don't have the Chromecast app installed, which would seem to indicate that Google is interested in promoting its miniature streaming wonder. 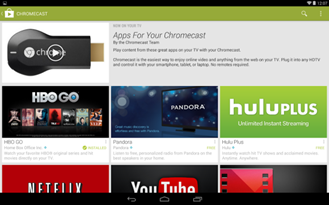 It's also a positive indication (though by no means a conclusive one) that Google intends to keep expanding the selection of Chromecast-compatible apps. 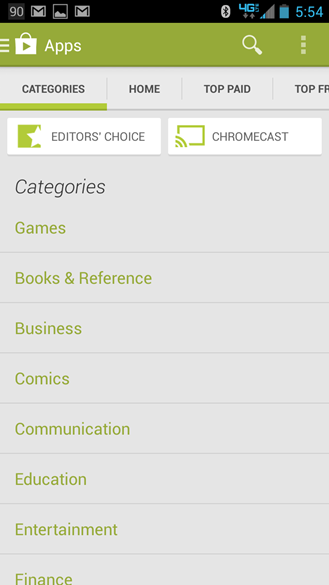 That being said, it's a bit odd to see that the Chromecast app itself is not included in the list. 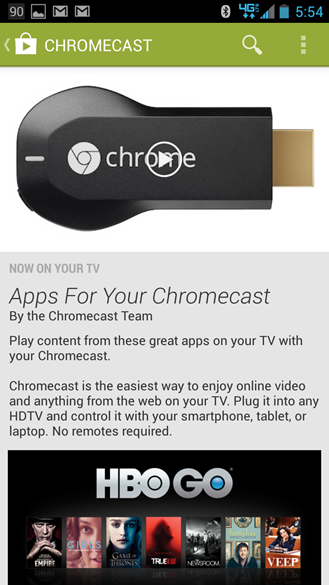 If you've got a Chromecast and you're a regular user of any of the supported services, odds are that you don't need this kind of thing - you've already got your streaming and Chromecast apps handy. But at least it shows that the Chromecast isn't going anywhere anytime soon... unlike certain orb-shaped streamers we could name.